White Biocentrism • View topic - Jewess Ivanka's Trump Card! PETAH TIKVA, Israel — Is Ivanka Trump really Jewish? lobbied the rabbinical establishment to be more tolerant toward converts. policy change appears to be an attempt to curry favor with the new U.S. president. Ivanka Trump’s husband has been appointed a senior adviser to Trump. Re: Jewess Ivanka's Trump Card! 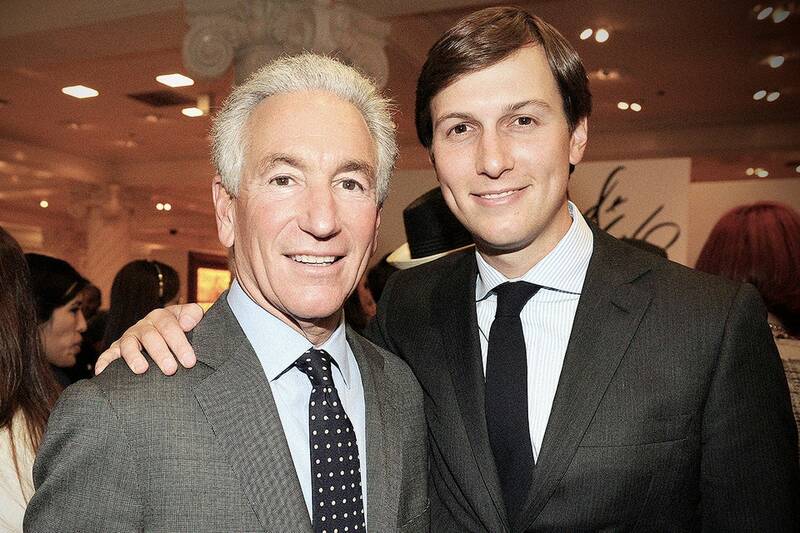 Ex-con Charlie Kushner has had enough of people bullying his son. When Jared Kushner and Ivanka Trump decided to take senior positions in the White House that they were completely unqualified for, they reportedly believed doing so would be the first step in a series of steps that would one day result in them saying, O.K., Ivanka will run for president now, and then Jared will do it in eight years. Fifteen months later, things haven’t exactly followed the trajectory the couple had in mind, with Jared, we assume, eating his lunch in a men’s-room stall, shaking his fists and asking Why, god, why? in between bites and tears. In addition to accomplishing none of the goals on his to-do list—solving the opioid crisis, bringing peace to the Middle East, “re-inventing the entire government,” etc.— regulators have requested information from several banks “about their relationships with Jared Kushner and his finances”; his security clearance was downgraded; at least four countries have allegedly discussed ways to manipulate him “by taking advantage of his complex business arrangements, financial difficulties, and lack of foreign-policy experience”; his P.R. guru quit; and Brooklyn prosecutors have subpoenaed Kushner Cos. concerning slumlord-esque tactics employed by the company during a three year-period in which he was C.E.O. Yet another thing that’s likely keeping the First Son-in-Law up at night is the fact that come February 2019, his family owes the entire $1.2 billion balance of its mortgage on 666 Fifth Avenue, the tower a young Jared bought on the eve of the financial crisis, which lost $25 million last year. That situation, naturally, has led some people to write headlines such as, “Jared Kushner’s Family Is Screwed, and It‘s All Boy Wonder’s Fault,” pointing out that the Boy Prince of New Jersey can’t even succeed at jobs that are literally handed to him. And Charlie Kushner has had enough.